A strong par 3. 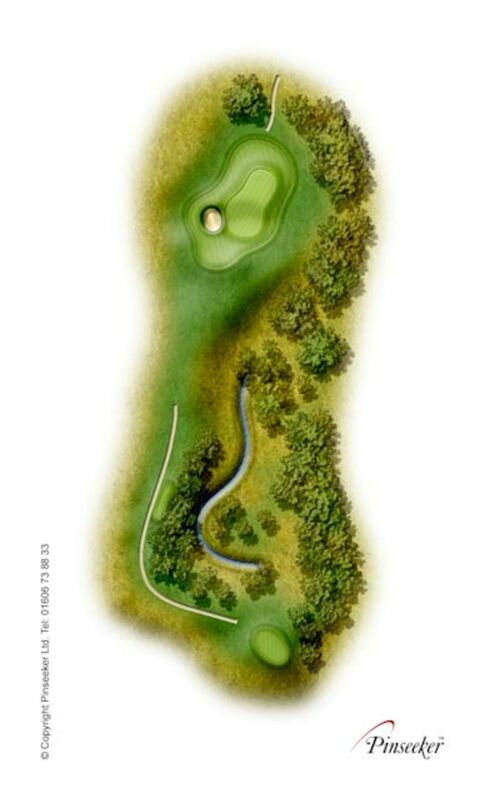 A long club is required to hit a small green protected by a bunker on the left and a steep slope right. Hitting the green is a must.